Our seriously smooth, subtly sweet Starbucks® Blonde Espresso combines with milk, ice and flavors of caramelized white chocolate. 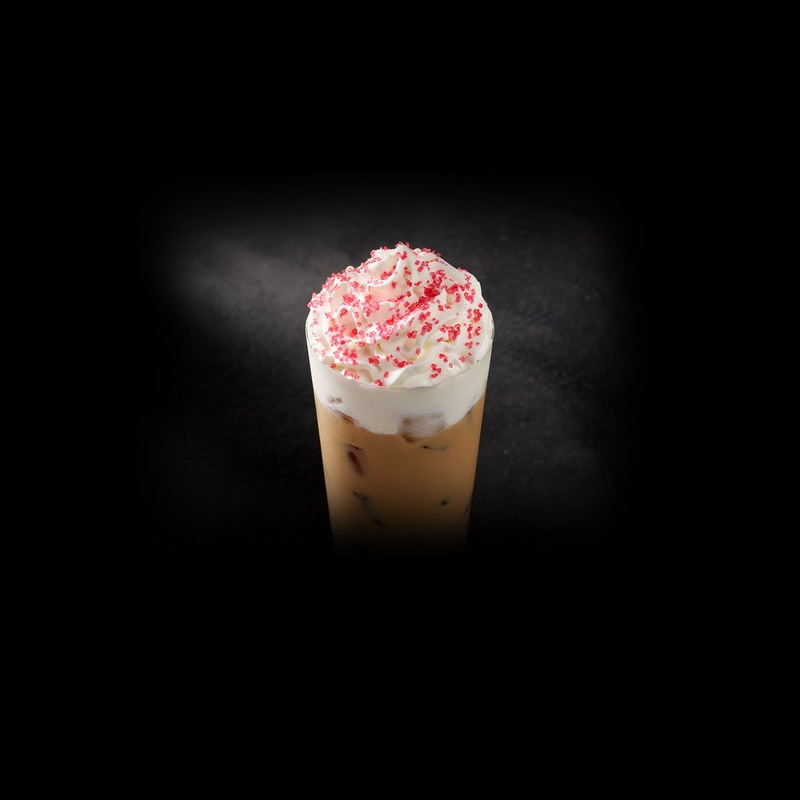 Finished with whipped cream, a topping of holiday sugar sparkles and crispy white pearls, this creation looks, and tastes, like the holidays. Ice, Milk, Toasted White Chocolate Mocha Sauce [Condensed Skim Milk, Sugars (Sugar, Corn Syrup), Cocoa Butter, Natural Flavors, Salt, Potassium Sorbate, Plant-based Monoglycerides], Brewed Espresso, Whipped Cream [Cream (Cream, Mono And Diglycerides, Carageenan), Vanilla Syrup (Sugar, Water, Natural Flavors, Potassium Sorbate, Citric Acid)], Holiday Sugar Sparkles With Crispy White Pearls Topping [Sugar, White Pearls (Sugar, Rice Cereal [Rice Flour, Corn Flour, Sugar Malt Extract, Salt, Oat Flour, Calcium Carbonate, Soy Lecithin], Palm Kernel Fat, Maltodextrin, Dried Glucose Syrup, Sorbitan Tristearate, Soy Lecithin, Gum Arabic, Glycerin), Fruit And Vegetable Juice (For Color), Citric Acid, Invert Sugar].